On March 26, 2016 (the day before Easter Sunday) the City of Carlsbad will host their annual EGGstravaganza Spring Festival at the Poinsettia Community Park starting at 10 AM. Poinsettia Community Park is located at 6600 Hidden Valley Road, in Carlsbad, California. Click here for a flashback of the 2010 event (oh, they grow up so quickly, don’t they? ), or follow the jump for all the details. The City of Carlsbad’s popular EGGstravaganza Spring Festival returns Saturday, March 26, from 10 a.m. to 1 p.m. at Poinsettia Community Park, 6600 Hidden Valley Road. 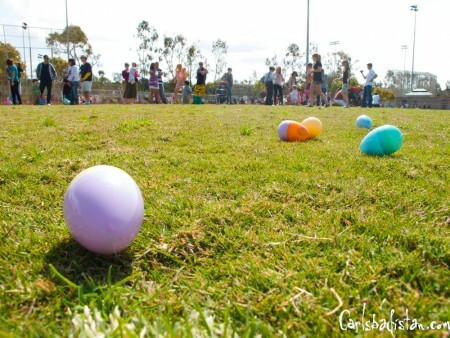 Rachael Shay, recreation supervisor for the City of Carlsbad, said, “EGGstravaganza is a chance for families with children of all ages to have some fun while celebrating spring’s arrival. Community events like these are part of what makes the City of Carlsbad a special place to live, where neighbors can connect and families can thrive,” Shay said.